2018 was a terrific year in gaming for all the major platform makers, Nintendo included. While official numbers aren’t in yet, we’ve heard from places like the NPD Group that Nintendo had a fantastic holiday season. Pokemon: Let’s Go, Pikachu! and Eevee! sold over 3 million copies worldwide in its first week. Super Smash Bros. Ultimate sold 5 million copies in the first 3 days it was available, and the Nintendo Switch was named the bestselling video game console over Black Friday/Cyber Monday weekend. To say Nintendo is riding 2018 on a high would be an understatement. 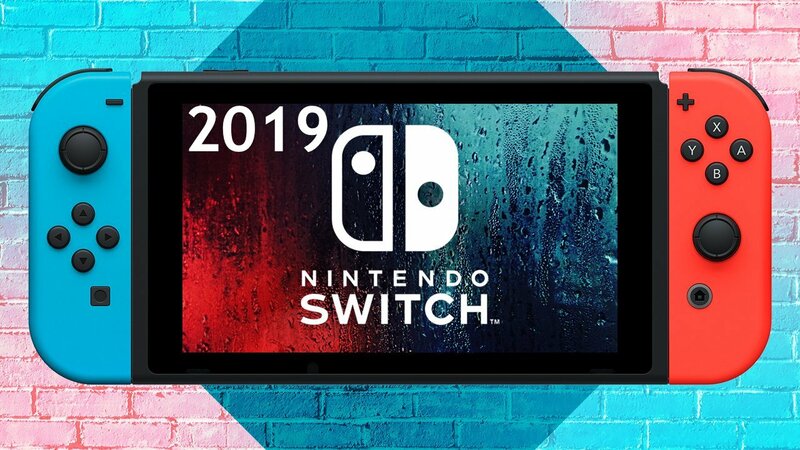 Now that 2019 is here, we turn our attention to what Nintendo has in store for the year. What is it that we want to see from Nintendo in 2019? There is one thing I would love to see from Nintendo in 2019. I would like to see a new and updated version of a game called Lost Kingdoms. 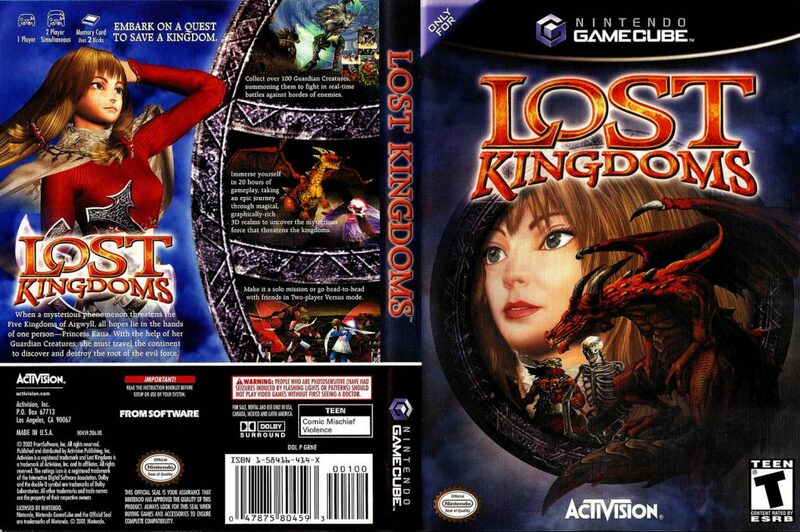 Lost Kingdoms was originally released on the GameCube in 2002. It is a fantasy role-playing game that allowed players to use different cards to summon monsters and various types of creatures. You would use these summoned monsters to defeat enemies along the way of our heroine’s path. The game has a great story, and the graphics were brilliant for the time it was released. I believe that with today’s graphics, a new or revitalised version of Lost Kingdoms would be amazing. I also think that the original game could have been more than what it was. The creators of Lost Kingdom could use the new version as an opportunity to improve upon the original. In the original game, the main character, Katia, wouldn’t actually attack enemies and would solely rely on the cards at her disposal to defeat them. I think this part of the game should stay exactly the same. There are two main things in the game that need improvements, as I have mentioned, and the first are the graphics. If these were updated to today’s graphics, the game would be visually stunning. The other part of the game that needs improving would be the story. The story was great for 2002, but to meet up with today’s standards of gaming, the story would need to be bigger and more dramatic than the original. It would also be great to see more monsters and creatures added for Katia to select from to give us a bit of variety. I look forward to what Nintendo has in store for us in 2019. Lost Kingdoms is definitely one that I think GameCube fans would really appreciate being re-released as an improved version for Nintendo Switch. 2018 was a great year for software on Nintendo Switch. We got great new entries in Super Smash Bros., Pokemon, Mario Party and Kirby. 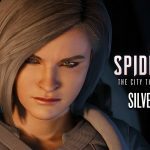 Let’s face it though, 2018 was a fairly port-heavy year, and what games weren’t older ports were games made for specific audiences. Take Octopath Traveler, for instance. I love this game and would totally recommend this game to everyone; however, it’s made for a very specific audience, namely those that love 16-bit era JRPGs. It’s a great exclusive but one that’s hard to sell to everyone. Then there are the ports. I’m super happy to get a chance to replay some of these great Wii U games again, but it felt like Nintendo was hoping these titles would carry them throughout the year; titles like Bayonetta 1+2, Donkey Kong Country: Tropical Freeze, Hyrule Warriors, and Captain Toad. These are great games, but the strongest 1st-party support came at the end of the year. 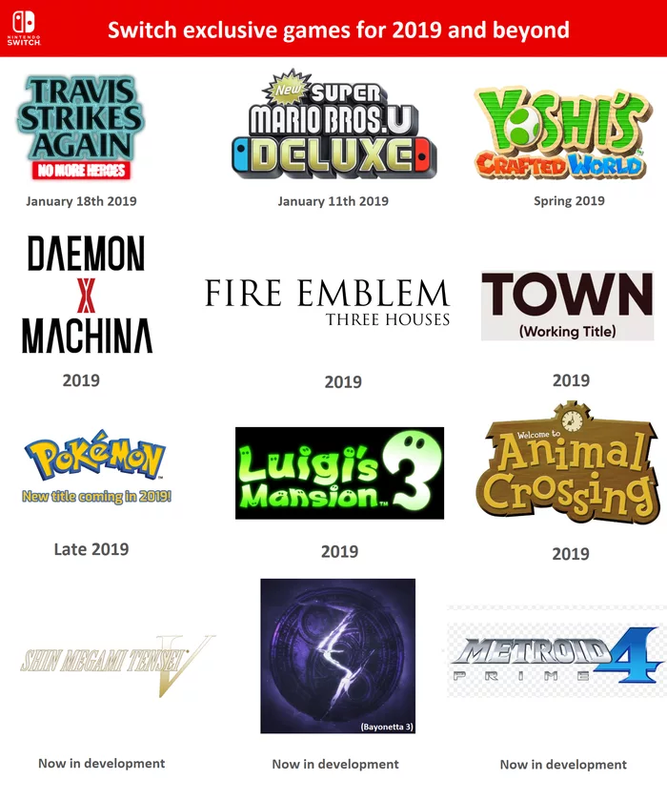 To be fair, Metroid Prime 4 and Bayonetta 3 aren’t officially confirmed for 2019, but we do know they are coming and could be released that year. Look at that list for a minute. Those are the confirmed first-party/exclusives we know about, and we aren’t even into the new year that much yet. That is a really great first-party lineup already. However, knowing Nintendo, they probably have a couple more surprises in store that they will announce during 2019. From a first-party perspective, Nintendo is already doing one of the main things I want them to do in 2019. Have great games coming and have them come often. For many years during the Wii U era, third-party support was non-existent. When the Switch first launched, many third-party developers took a cautious wait and see approach. Then the Nintendo Switch became the bestselling video game console in U.S. and Japanese history, and so they jumped on board the Switch. Well…sort of. We’ve seen very strong third-party support for the Switch in 2018, and I’d like to see this go even further. 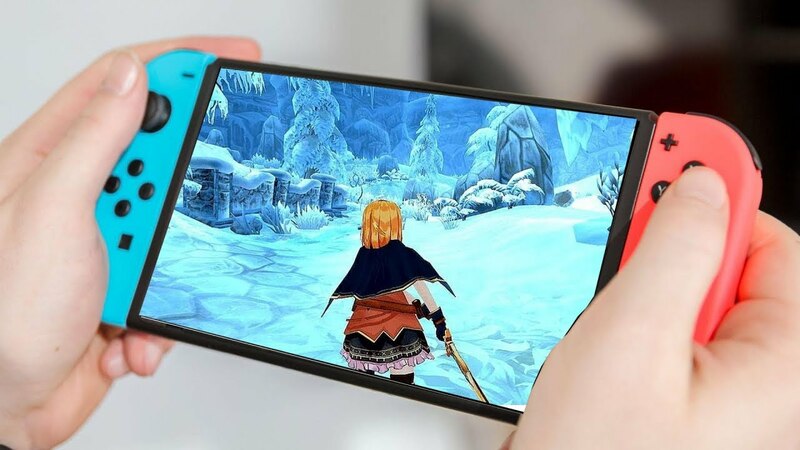 Bandai Namco, Bethesda, Capcom, and Square Enix have all jumped on the Switch in the largest of ways, and their strong support continues for Switch in 2019. I mean, we are literally getting six more Final Fantasy titles and four Resident Evil titles on Switch in 2019. However, I’d like this to be expanded. We’ve been told for some time that the issue with game releases on Switch had to do with development cycles. In short, the reason we weren’t seeing Switch versions of games was because those games were too deep in development to be included on the platform. 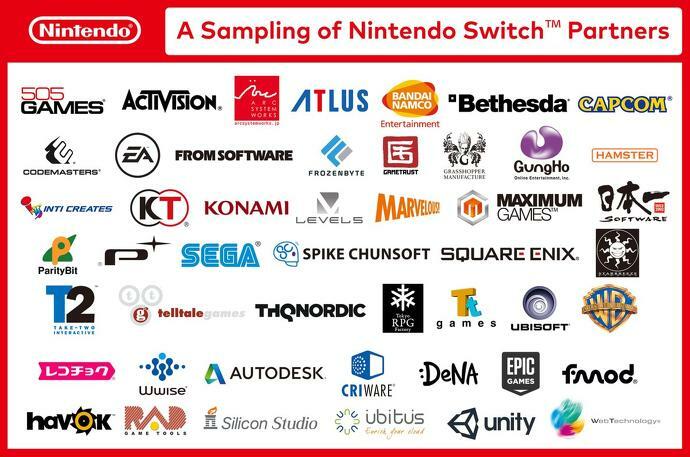 Now that it’s been three years since devs have had the Switch to work with (most devs supposedly received Switch dev kits in 2016), we should start seeing more and more Switch releases from third parties, and we’re sort of seeing this already. Mortal Kombat 11, DOOM Eternal, Team Sonic Racing and Crash Team Racing Nitro-Fueled are launching day and date on Switch. This is a very good positive sign. However, let’s see more. While it was nice to get games like Wolfenstein II: The New Colossus and Crash Bandicoot N. Sane Trilogy on Switch, we had to wait months after everyone else to get them. I’m still waiting for Activision to get their act together and bring Spyro Reignited Trilogy to Switch. Then there’s EA, who continues to ignore the platform as much as possible. While it’s nice to get FIFA 18 and FIFA 19, there are many of us who own the Switch that’d like something other than FIFA. Maybe in 2019 EA will finally give Switch and its audience the respect it’s earned and bring more titles to the platform. All I know is I want more third-party games on Switch in 2019. Look, Nintendo, I get it. You want the eShop to open quickly and be snappy to use. It works perfectly like that. It’s very rare to have to wait more than three seconds for the eShop to load up. Here’s the major problem though with the eShop: discoverability. Each week roughly 10 to as many as 30 games launch on the Switch eShop. Quantity is nice, but with such a large number of games launching each week, there’s a problem. How do you discover a game that came out, say, two weeks ago, when the New Release section on the eShop only shows the last 30 games? Even worse of a problem, how do you tell a good game from a bad one? The eShop has no way of rating a game, so it’s impossible to tell how good of a game it is unless it sells a lot of copies. Even then, the quality of a game isn’t clear. This is a problem and something even developers have mentioned is an issue. 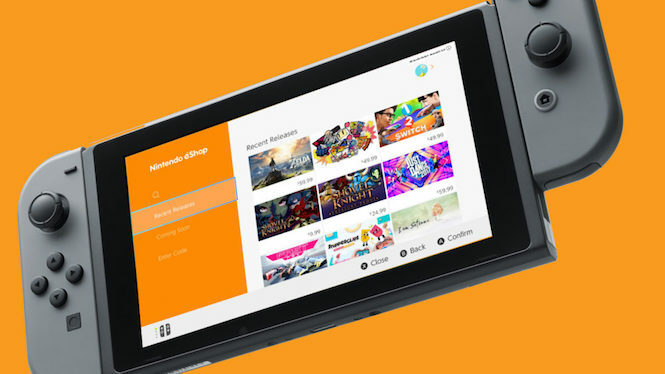 What I’d like to see Nintendo do in 2019 is spend time fixing the eShop. Maybe they need to look back at the Wii U eShop. Yes, that eShop wasn’t quick to load, and it was far from perfect. However, it was easy to find things. For instance, if I was looking for New Releases, there was a section for that. If I wanted Well Received titles, I could search for that. Platformers? Adventure games? Retro titles? I could look for them. It wasn’t at all perfect, but Nintendo could afford to look back and see that discovering titles was a bit better done on Wii U. Even if Nintendo looked at the PlayStation Store and its recommended games feature, that’d be a nice addition. I know Nintendo has been working on this, they spent some time in 2018 updating the eShop. The new Featured section does allow for content to be highlighted to people each week. However, to me it’s clearly obvious more attention is needed to fix the eShop and make it a place where people can discover games. More importantly, they must be able to discover good games that came out in weeks past. The Nintendo Switch is really quite an amazing console. The promise of being able to play games anytime, anywhere has truly panned out. However, it’s not perfect. Yes, let’s state the obvious. The Switch isn’t as powerful as the current generation of consoles, although it’s much closer to an Xbox One than most people would give it credit. According to an October 2018 Wall Street Journal report though, Nintendo is aware of some of the issues with Switch and is looking to launch a revised Switch “as early as Summer 2019.” What kind of revision? Unknown. Wall Street Journal speculates Nintendo wanting to upgrade the Switch screen, battery life, and internal storage. All good things; however, there’s a growing feeling Nintendo might go a bit bigger with a revised model. We’re not talking about a brand new console or a console with monstrous new specs. Rather it would be in line with what Nintendo has done in the past while at the same time looking towards the future. Like you and I, Nintendo is well aware that at some point in 2019, we are going to hear something about the new Xbox and PlayStation systems. Nintendo and the Switch will still be riding high when that happens. Nintendo will want to stay relevant in the conversation about new hardware. There are really two things Nintendo can do to accomplish this while not segmenting the Switch audience already. 1.) Nintendo should upgrade the Switch to use the newer Tegra X2 chipset (Switch uses the X1 now). Changing to the X2 chip would double the CPU, double the RAM, double the bandwidth, and nearly double the GPU power. This upgrade would even cover one of the rumored things from the Wall Street Journal: the X2 would give double the battery life. (2.) Nintendo should bump the specs to what their current dev kits offer. Did you know that all Nintendo Switch dev kits come with 8GB of RAM, 64GB of internal storage, and an overclocked X1 chip? Maybe not, but it might have shown some foresight from Nintendo. Considering the dev kits already have these upgraded specs (that devs then have to tone down to fit on Switch), why not release a “Pro”-like model? It could allow already released games to run better and more beautifully. Plus, it wouldn’t automatically split the Switch audience. Sure, a “Pro” exclusive game could come out, much like how Xenoblade Chronicles 3D or Minecraft are new Nintendo 3DS exclusives. Here’s the part that could make it better for everyone. This new “Pro” model could take the current price point of the Switch ($299), while the “older” Switch could drop in price to the 3DS price point ($179-$199). The cheaper price for the “older” Switch could help sell more systems and be more inviting to families with younger kids, while the “Pro” model Switch could be a bump up for current owners and, yes, having a brand new piece of hardware at $299 that will be cheaper than the new Xbox or PlayStation. Look, I love my 3DS. I have spent hundreds, if not thousands, of hours playing games on 3DS. It has an amazing library of games. However, in 2019 Nintendo should do it. Pull the plug on 3DS. I know, I know. The 3DS still sells well. There are 74 million 3DS owners out there, you can’t abandon them. 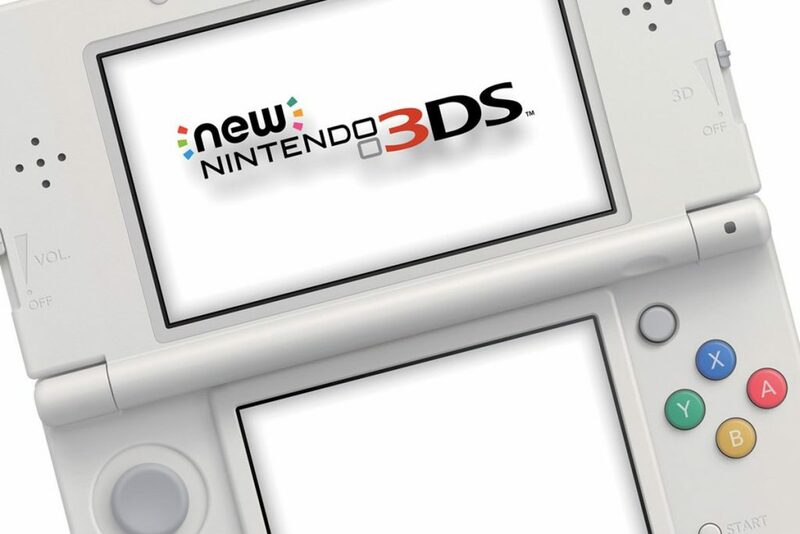 Here’s the thing: What is the 3DS? A dedicated portable. What is the Switch? A home console that can be played anywhere. A home console that is also a portable. The Switch is the replacement for 3DS. I understand not wanting to drop the 3DS right away, you needed to see if Switch would be a success. However, simply compare sales numbers. Nintendo Switch sold 17.8 million consoles in 12 months, 3DS sold 6 million. Not bad. What about this year? Switch is forecast to sell 20 million, 3DS 4 million (as of October 1st, sales of 3DS sit at 1 million). The point? The 3DS is slowing down, while Switch is picking up. 2019 is the perfect time for Nintendo to release its last few games for 3DS and then send it into the sunset. This would allow those development teams to start working on Switch titles, which would in turn help first-party support moving forward. Imagine actually being able to play remakes/remasters of Luigi’s Mansion, Mario & Luigi: Superstar Saga, WarioWare Gold on your Switch, instead of having to go back and play your 3DS because that’s where Nintendo keeps putting those titles. It’s time, Nintendo. Fact: Nintendo Switch Online isn’t great. 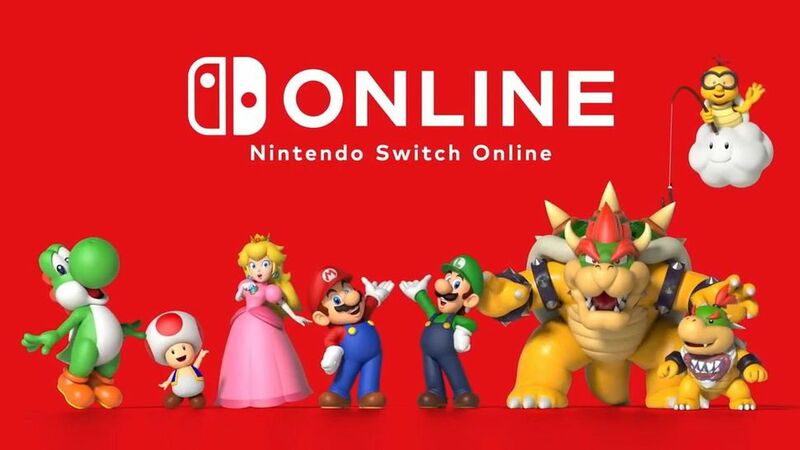 Also fact: Nintendo Switch Online isn’t as terrible as people keep trying to make it sound. For $20 a year, you get online play, cloud saves, free NES games each month, access to a voice chat app, and special offers. For that price, not bad. The problem is that three of those categories aren’t great or at least aren’t terrific right now. First, let’s tackle the free NES games each month. This actually isn’t a bad deal and, while not perfect, does give me a virtual console-like library of games to play that currently sits at 33 titles (as of this writing). I’ll admit that some of the games chosen for the service are strange (I don’t know anyone who was asking to play Yoshi or Solomon’s Key again). However, there are great games in the service, and they’ve been emulated perfectly. Playing online with a friend is also a really cool feature; I got to play Dr. Mario with friends across country, and it was a lot of fun. The problem is twofold. 1.) There aren’t enough NES games getting released each month (or at least memorable titles). 2.) People, myself included, really want more than NES games. How about SNES or N64 titles? People are begging just to be able to play those games on Switch. If you add online play to those platform games? That would be amazing. Imagine playing Super Mario Kart or Mario Kart 64 online with friends. Or passing the controller back and forth playing Super Mario 64 or The Legend of Zelda: A Link to the Past. Nintendo needs to expand this service to include more platforms. If you gave three NES, three SNES, and three N64 games each month, people would be absolutely thrilled with the online service. Second, the voice chat app. I know, I know. Why didn’t they build it into the Switch itself? Well, they didn’t, so let’s move on from that. The voice chat app is very far from perfect, but you know what? It works surprisingly well. I tried it a few weeks back with a group of my friends and was surprised at how quickly it connected the call, how good the call sounded, and how simple it was to connect with all my friends at once. The problem is the voice chat app lacks…what do you call it? Oh yeah, VOICE CHAT SUPPORT IN GAMES. Seriously. Only eight titles (one of them being a third-party title) support Nintendo’s voice chat. That’s kind of a major problem. I can only voice chat with my friends if we all are playing the exact same game out of those eight titles. I can’t voice chat with them if I’m on the Switch home screen. I can’t voice chat with them if I’m playing Super Smash Bros. Ultimate and they are playing DOOM. Nintendo, you’ve got to fix this. I’m totally okay with using a voice chat app to talk to my friends on Switch. Totally fine, no problem. However, if I can only chat with them in only eight specific titles, I’m not going to use your service. This problem is even bigger when Fortnite on Nintendo Switch lets you voice chat with your friends through your Switch, avoiding the app altogether. Come on, Nintendo, 2019 let’s focus on getting the voice chat to respectable levels, okay? The Nintendo Switch heads into 2019 with a ton of momentum and two strong years under itself. We have fantastic franchises to enjoy, with even more great first-party software coming in 2019. Hopefully, a few of our ideas get noticed by Nintendo and that they listen to them. Or we at least get that Metroid Prime Trilogy collection on Switch. Come on, Nintendo, make it happen!